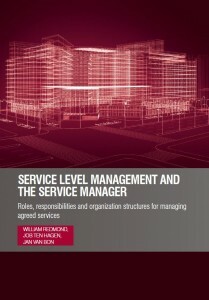 The second book in the series of Roles books is published (May 2013) by TSO: SLM and the Service Manager, authored by William Redmond, Job ten Hagen, and Jan van Bon. The introduction book to the series (“Designing and Transforming IT Organizations”) was authored by Job ten Hagen. There are lots of books about IT service management, but almost none about the organizational issues of implementation projects. Following on from Designing and Transforming IT Organizations, this is the second title in a series on that topic. 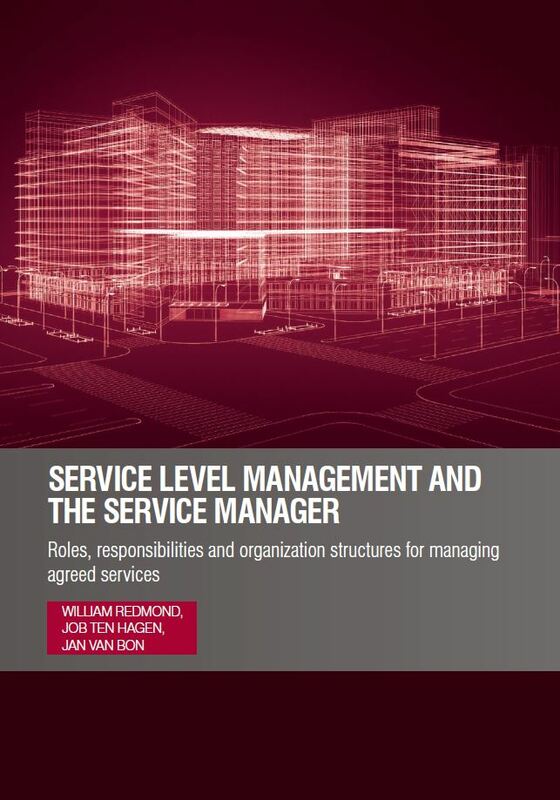 It deals with two of the most important organization structures in an IT service organization: the service level management process and the service manager role. Service level management is where it all begins. Customer satisfaction is the ultimate goal of common service organizations, but no organization can satisfy its customers if it has no idea of the services it is supposed to be delivering. Whether agreed in writing (as half a sheet of A4 or a 500-page document) or only loosely in terms of expectations, it all starts with an understanding of what you should deliver. That’s what service level management is all about. Once you understand what you should deliver, someone has to be made responsible, to make sure it is delivered. That’s where the service manager comes in. This role has been called many things, from product manager to service owner, account manager and other ‘managers’. But ultimately, only one role can be responsible for the overall service, whereas many others will be responsible for the processes, for the teams, or for the infrastructures that underpin the service. That’s why we call this role service manager – it designates the responsibility for managing the service. The service level management process and the service manager role are core to managing customer satisfaction. In practice, they often get confused or they are not managed at all. This book explains how to deal with both of them in a consistent and practical way.